Get animators to look over tentacle rig. Dave went over the rig and said he liked it. The only issue he found is that the small tentacles do not follow along when using the twist and roll attribute in the rig. I attempted at fixing the issue but I could not find a solution. I am going to re visit the issue in the shoggoth rig. Rigging the shoggoth went well. It was a challenge to figure out the correct weighting and spine structure for the shoggoth. After different attempts, I figured out the correct layout and weighting for the spine. I then added in an sdk for the shoggoth to raise its front part of its body. From there I rigged the mouth and added in a sdk for the mouth to open and close. Finally I began rigging the eyes of the shoggoth. I so far have rigged five eyes. One small task that came up during the week was to add more detail to dyers jacket. Luckily I had an old file that had a more detailed jacket. Switching out the jacket was straight forward, the only issue that came up was maya crashing. This week most of my time was taken up working on the clothing. The whole team decided to use marvelous designer to create the clothing. The team met to go over the clothing and what type of detail should be added. The biggest hassle was getting the clothing to work with the character rigs. After many different attempts binding , and fixing the clothing I was able to get the clothing to work for Danforth. Currently I am in the middle of getting the clothing to work with dyers rig. Cons: It took too long to get the clothing to work with the character rigs. In addition to working on the clothing I prepared myself for rigging the shoggoth. I broke down and remade an example of a tentacle rig that was made by Evan Boucher. Pros: I can start rigging the shoggoth. This week I finished up rigging dyers face. I ran into no errors when rigging his face. His face was straight forward to rig but very time consuming and tedious. Gabe did come across an issue with danforths rig, luckily I was able to fix the issue fast. I decided to help create a first draft of the clothing in marvelous designer . 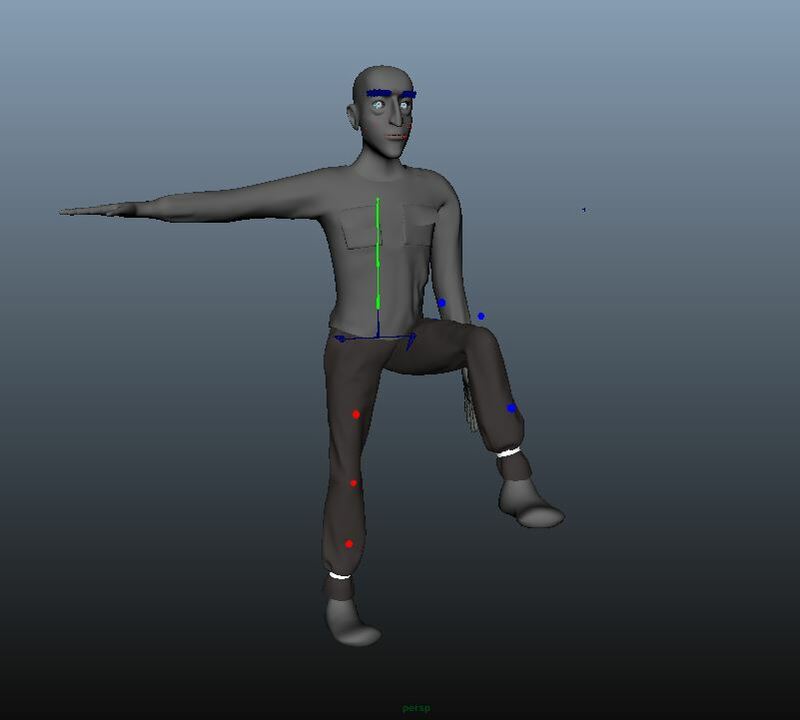 Compared to modeling in Maya, it did not take too long to create the clothing. This week I am going to work with val and whoever else in creating the clothing. Cons: A lot needs to be done to finish the clothing. Rigging Dyer and Danforths Face. This week I continued on rigging both of the faces. I spent a lot of time battling dyers weights because mirroring was not working correctly. Luckily I was able to fix the issue today. Now all I need to do is race to finish up dyers face rig. I finished Danforths face rig. I added a lot of controls to his face because he expresses a lot of emotion in the story. 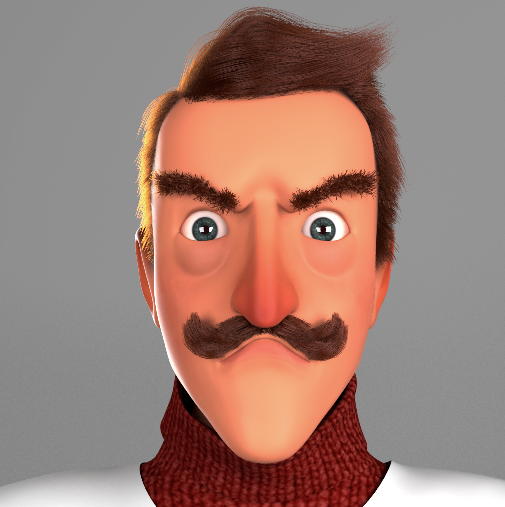 Positives: Danforth`s face is finished and I was able to fix the issue with Dyer. Negative: Dyers weighting issue took up a lot of time. Summary: Over the break and the first week of class I worked on rigging the face of dyer and danforth. I was able to get pretty far on both. Right now I am in the middle of rigging the mouth for danforth and dyer. Negatives. Over the break me and Val had issues trying to get the eyebrows to follow the geo deformation. Luckily we figured out a solution. As well dyers weights got weird and would mirror correctly. Me and gabe tried to fix it but had no luck. Positives: A lot of the facial rigging was finished. If things go smooth this week I might have an extra day to fit in finer controls into the rig. We made it to our final presentation! Hoorah! Instead of the usual screenshot of our Trello board, I made this little screencapture video (embedded) to highlight our progress from the beginning of the term to the end. As you can see, our “done” column stretches aaaall the way to the bottom, and only a few cards were put on the backburner. Two of them, the Shoggoth model and facial rigging, will be done over winter break. The other two, prop modeling and environment detail work, are ongoing projects that will stretch through the next term while the animators finish animating. Overall, I’d call our progress successful! Looking forward to presenting to the faculty tomorrow!